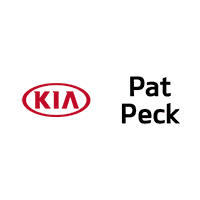 Welcome to Pat Peck Kia, where we provide the drivers from D'Iberville, Gulfport, Hattiesburg, and the surrounding Mississippi and Louisiana communities with a massive selection of new and pre-owned Kia vehicles! But, that’s not all. We also provide you with a streamlined financing process, a state-of-the-art service center, a comprehensive online parts database, and much more. Contact us for more details! Here’s the bottom line: Regardless of whether you’re looking for the Kia Cadenza, Kia Forte, Kia Niro, Kia Optima, Kia Rio, Kia Sedona, Kia Soul, Kia Sorento, Kia Sportage, or any other model, you can probably find it here. We have tons of cars! Our new Kia inventory is comprised of a few dozen Kia hatchbacks, sedans, SUVs, vans, minivans, and other body styles. Our used car inventory is comprised of a few dozen options and a variety of makes and models. Best of all, our cars are affordable and competitively priced! In other words, you’ll always get the value that you truly deserve when you choose us as your Kia dealer. We’ve even created two ways for you to check it all out. First, you can browse our Pat Peck Kia dealer website, where you’ll find plenty of Kia reviews, comparisons, photographs, specifications, and more. These resources will help you as you complete all your research. Or, you can stop by our showroom and take a tour in person in D'Iberville. One of our knowledgeable customer’s reps will take you through everything, answering any questions that you have as they come up. It’s awesome! Once you find something that you like, it’s time to secure a loan or a lease. At our Kia Finance Center near Hattiesburg, Gulfport, and D'Iberville, that’s not a problem at all not in the slightest! The finance whiz kids who work here will reach out to our well-developed network of bankers and lenders to get you the best APR possible. If this interests you, simply fill out the pre-approval application! You can also schedule a service appointment or order parts and accessories right on our website. Those expert automotive technicians at our service center can take care of anything that’s going on with the Kia, whether it’s major or minor. Or, if you prefer to take care of it yourself, we have the parts you need. There’s a lot more to Pat Peck Kia, and it’s all accessible through our website. There are a few ways to get in touch with us: Call us on the phone, stop by our showroom, or chat with us on our website. Don’t forget that we’re here to serve you. Reach out to us at Pat Peck Kia today!